When you pick up a sports drink or your favorite mineral infused water, do you chose by its flavor, nutrients, or color? Does the color of your food or beverage impact the way you think it tastes? These questions intrigue me and have actually been on my mind for decades. When I was in middle school, I had the pleasure of being an unsuspecting test subject for another student’s science fair project. He secretly colored apple juice different colors and recorded how each person thought the drinks tasted. I don’t remember his results so why not conduct a similar experiment with my family? I decided to test this concept using mashed potatoes. Yes, I colored perfectly good, made-from-scratch mashed potatoes with food dye, but I thought it was a worthy cause in the name of science (and my curiosity). 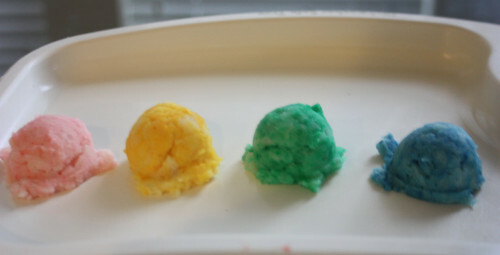 The toddler poked each color, and ultimately chose the blue potatoes to taste . . . and then spit out. However, I don’t think the spitting out is related to the color, he later spit out the non-dyed potatoes. My preschooler started with the pink potatoes, and cleared her plate of every color. Either she doesn’t care about the color of her food, or she remembered our experiment earlier in the day (read on to see what I mean). My husband’s first reaction was, “That looks like Play-Doh®”. Then after scanning the color options he took a bite of the blue potatoes (which he must really trust me if he thought it could be modeling clay). This bite was eaten with a grimace, since he expected something sweet, not mashed potatoes. 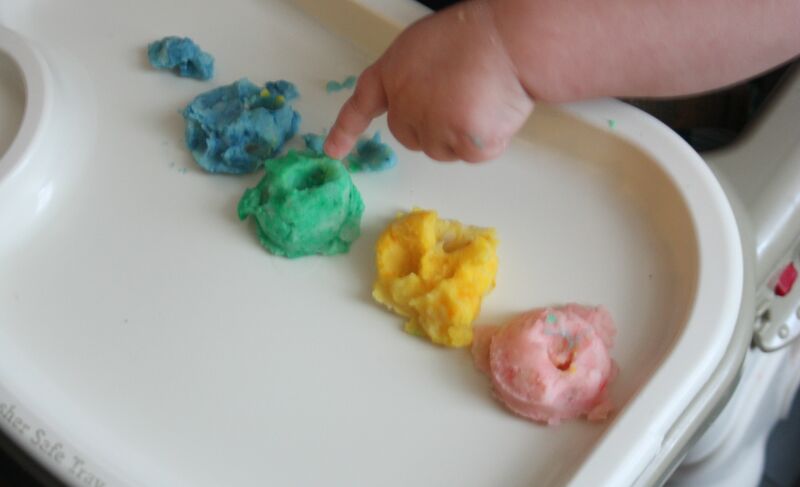 Later he explained his selection process: he thought the pink looked like cotton candy, and the yellow and blue also appealed to his candy taste buds, but he chose the blue since it was the closest to his reach. 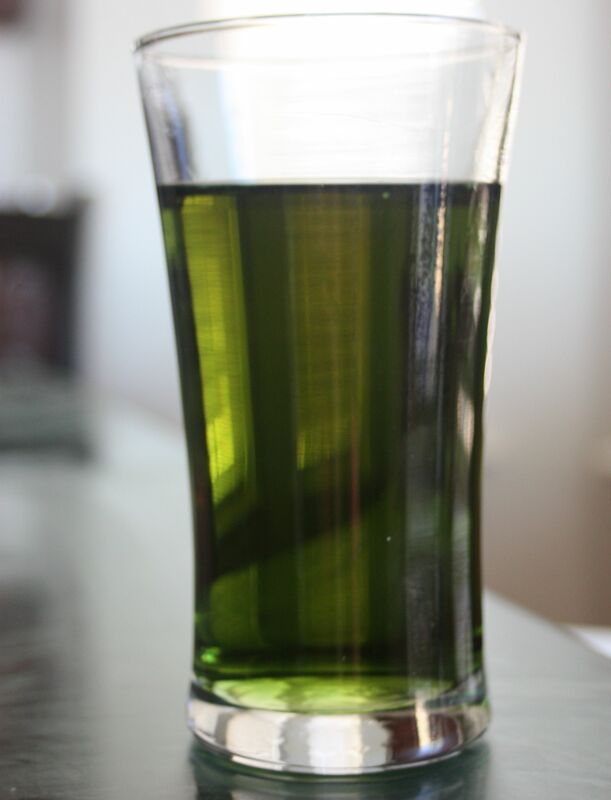 and then after photos, mix each colored sample together to create what I would call a drab olive green. Which she wanted to drink. According to her it tasted good, and tasted like water. Yep, I can’t fool the three year old. Consequently, I think the element of not knowing that all the colored items are the same food or beverage is key to the success of this experiment. Clearly my sample set of three isn’t enough to get a convincing answer, though it was still fun to try. 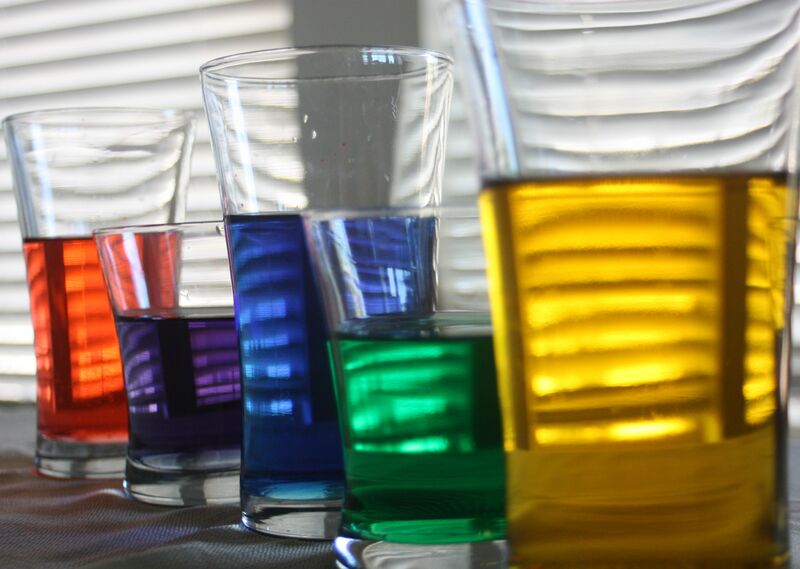 Plus you don’t have just my data, research by Hoegg and Alba suggests that color DOES impact beverage choice . 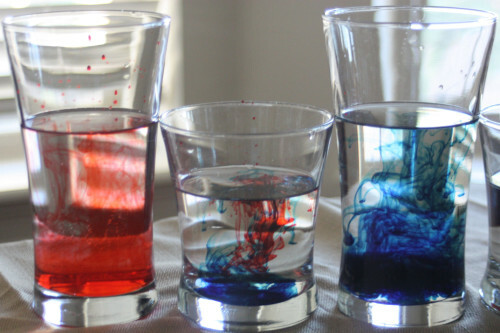 If you or a budding scientist in your house decides to try a similar experiment, I’d love to hear about it. Just remember (especially if the work is being used for a science fair) that the informed consent rules apply since it involves human participation. This entry was posted in Food Science.